It was a perfect Carolina Spring day for Tiffany & Scott's recent Greensboro engagement session! It's that time of year when the days are getting longer, and everyone is excited to be outdoors - including Tiffany & Scott's sweet pup Tilly. 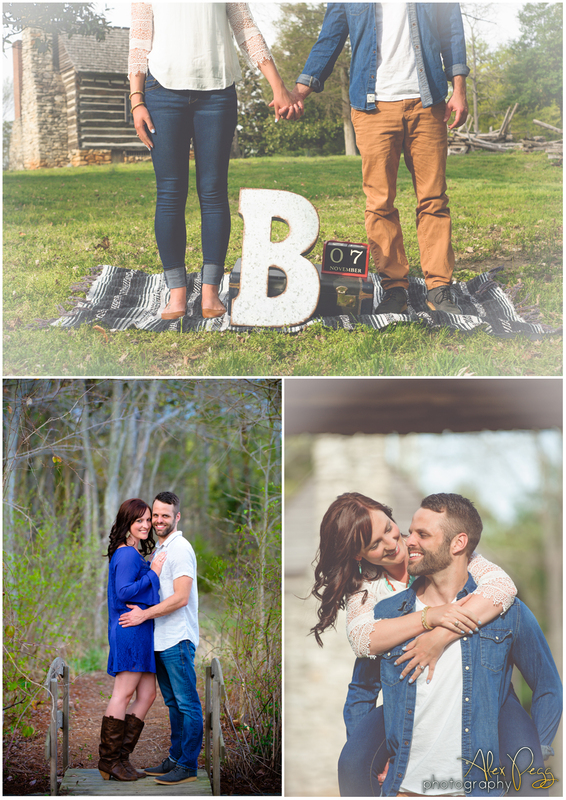 We visited Lake Higgins & Guilford Courthouse Park, and I had a lot of fun creating these lovely photos with such a sweet couple. Can't wait to work with them again for their big day in November! Sharon Pencola - The pictures are incredible! Tiffany you are beautiful and you both look so good together! Janet Blackburn - Fabulous photos of two fabulous people! Enjoyed looking at all of them. !